Soy Products; Should They Form Part of a Healthy Diet For Men and Women? Soy products and other phytoestrogen or plant-estrogen rich foods have compounds derived from plants that mimic estrogen due to their similar structure. These false assumptions have led to much confusion on whether phytoestrogens are healthy for consumption or not. But actually a variety of beneficial effects of phytoestrogens on many body systems has been shown, as well as the reduction of risk for specific cancers. While Phytoestrogens behave like the hormones our bodies naturally produce, they’re not the same as human hormones and behave unlike other natural estrogens. We now know that we have two types of estrogen receptors in the body, alpha, and beta receptors. And, unlike actual estrogen which binds and activates the alpha receptor, phytoestrogens from foods, preferentially bind to and activate the beta receptor. These two types of receptors have different, and most often opposite functions. Beta activation from foods rich in phytoestrogens (see list below) have an anti-estrogenic effect, inhibiting the growth-promoting effects of actual estrogen. Research has proven this since 2003. Therefore, these phytoestrogens actually have an anti-proliferative impact on some cancer cells, even in low concentrations that are achieved by eating even one serving of these foods a day. Phytoestrogens are often considered as possible alternatives to hormone replacement therapy and have been studied extensively in the role they play in reversing the symptoms of breast and ovarian cancers. It’s been found that certain hormone-related cancers can be treated by adjusting the hormone levels through eating foods that contain phytoestrogens (see list below). Phytoestrogens have also been studied to have antioxidant activity, protein synthesis activity, and they influence intracellular enzymes. This makes them natural cancer-protective compounds. I hope this dissipated some false assumptions of consuming soy products. Hamilton-Reeves JM, Vazquez G, Duval SJ, Phipps WR, Kurzer MS, Messina MJ (Aug 2010). “Clinical studies show no effects of soy protein or isoflavones on reproductive hormones in men: results of a meta-analysis”. Fertility and Sterility. 94 (3): 997–1007. doi:10.1016/j.fertnstert.2009.04.038. PMID 19524224. Dabrowski WM (2004). Toxins in Food. CRC Press Inc. p. 95. ISBN 978-0-8493-1904-4. Mitchell JH, Cawood E, Kinniburgh D, Provan A, Collins AR, Irvine DS (Jun 2001). “Effect of a phytoestrogen food supplement on reproductive health in normal males”. Clinical Science. 100 (6): 613–8. doi:10.1042/CS20000212. PMID 11352776. Patisaul HB, Jefferson W (2010). 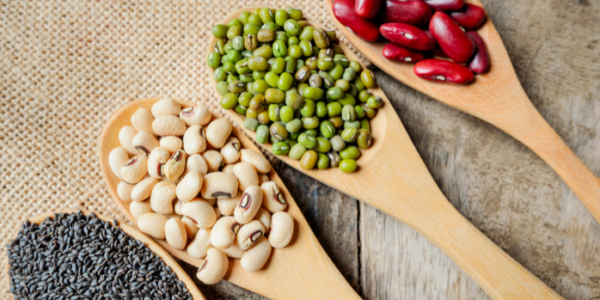 “The pros and cons of phytoestrogens”. Frontiers in Neuroendocrinology. 31 (4): 400–19. doi:10.1016/j.yfrne.2010.03.003. PMC 3074428? . PMID 20347861. Cederroth CR, Auger J, Zimmermann C, Eustache F, Nef S (2010). “Soy, phyto-oestrogens and male reproductive function: a review”. International Journal of Andrology. 33 (2): 304–16. doi:10.1111/j.1365-2605.2009.01011.x. PMID 19919579. Malinova M. Phytoestrogens and Vitamin D For Bone Health In Menopausal Transition. 2015;54(4):60-4. Sobenin IA, Myasoedova VA, Orekhov AN. Phytoestrogen-Rich Dietary Supplements in Anti-Atherosclerotic Therapy in Postmenopausal Women. 2016;22(2):152-63.